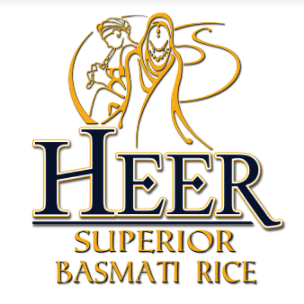 Heer Basmati Rice is of finest quality, cultivated in the plains of Punjab at the foothills of the Himalayas, one of the most fractious regions on Earth. Its consistence and perfect long grain shape, the unbelievable incredible aromatic flavour and taste is guaranteed by growing area and permanent quality control during the process from sowing to delivery. The high quality Heer Basmati Rice is available in the Netherlands as well and is one of the most sought after rice brands within the rice eating population of the Netherlands.